Psychedelic Behavior is the second release from Uttara (Leonam Souza), a Brazilian artist from Manaus, deep in the Amazon rain forest. 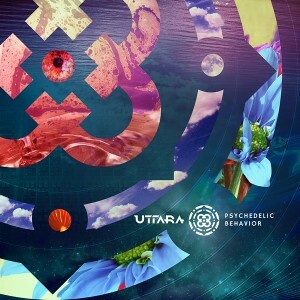 Following up on the warm response to Fiat Lux, his debut, Uttara was inspired to work even harder in his constant search for an original approach to progressive psytrance soundscapes. A labor of love, this release explores the many frequencies we hear and feel to bring you an intense blast of positivity in music. Mastered by Fernando Lima and artwork by Vitor Sal. MP3 Download | FLAC Download | WAV Download · Download count: 7,032. This is absolutely amazing, especially track 2 “Abnormal” Thank U Uttara! Namasté!